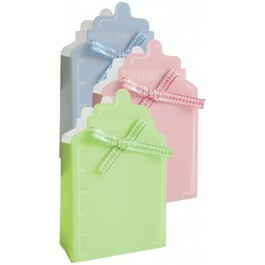 These adorable baby shower favor boxes in the shape of a baby bottle will definitely charm your guests! 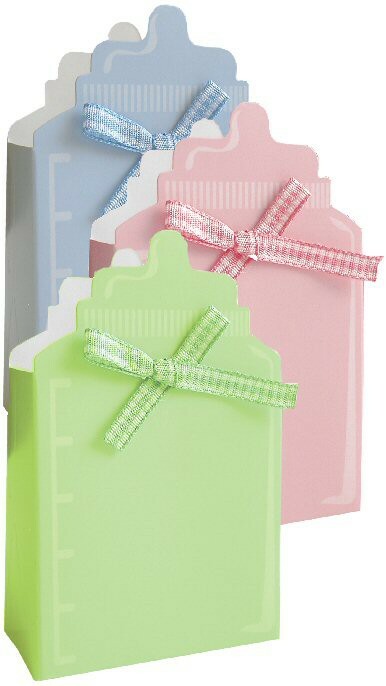 Drink in the pretty colors with their cute coordinating bows, and fill the baby bottle favor box with one of our many baby shower favors or baby shower candy ideas. The boxes easily pop open and then you just slip the fancy ribbon through holes on the front and back sides of the box. Tie the box closed or just thread the ribbon through the front of the box, leaving the top open. 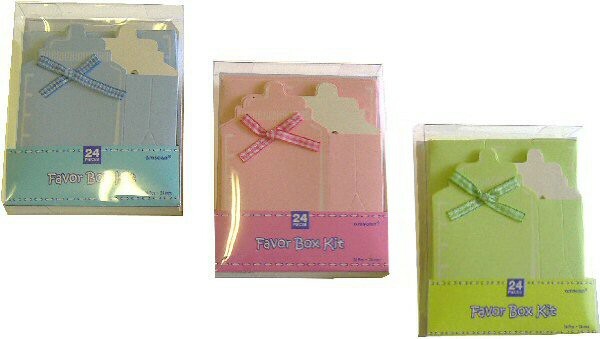 Each package contains 24 boxes and includes coordinating ribbon. Boxes are shipped flat, and favor box measures overall 2 3/4" x 1 3/8" x 4 1/2". Available in Blue, Pink, and Green.